Aided by 42″ of natural snowfall since mid-October and favorable temperatures for snowmaking, the Telluride Ski Resort is on track for a November 22nd opening . Take advantage of direct flights into Telluride this winter. Check out the complete schedule of flights below. 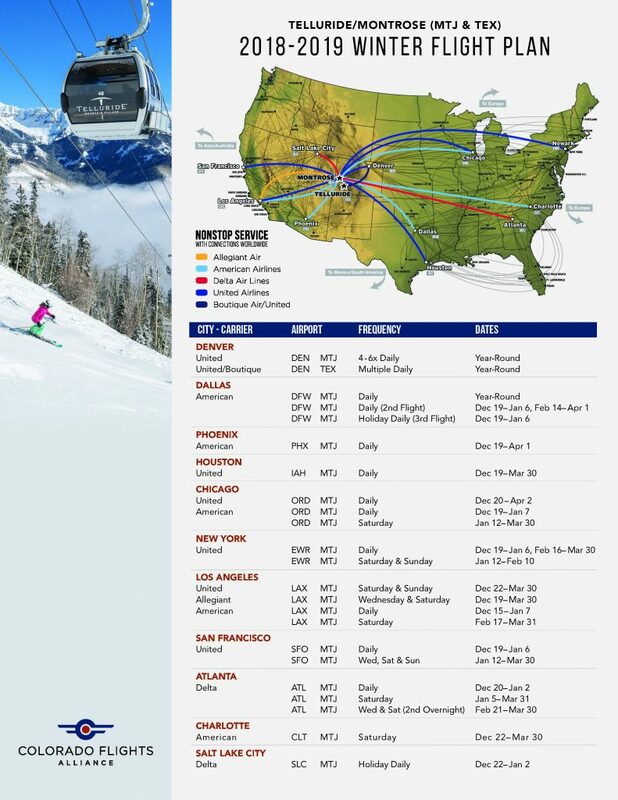 Don’t wait, book your ski vacation today!